The seventh generation BMW 3 Series is available to order now, priced from £32,450. It weighs up to 55Kg less than the outgoing model, making it more efficient and better to drive. A longer wheelbase provides greater interior space. 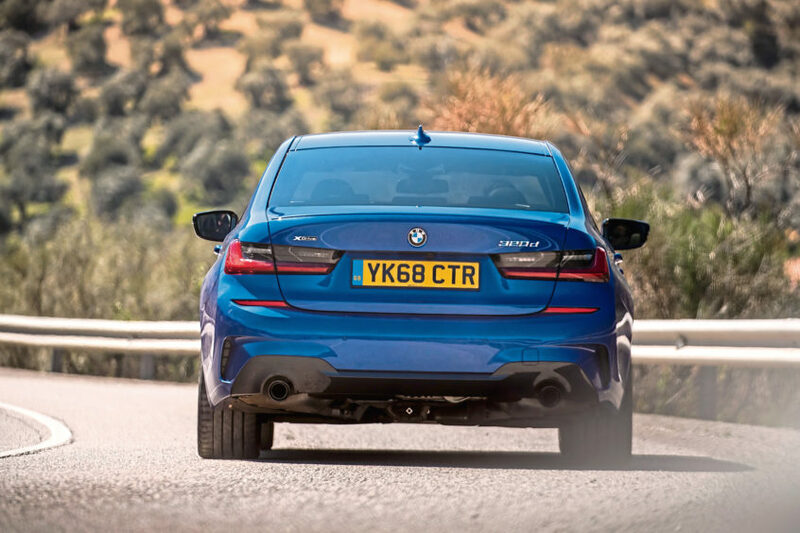 The full engine line up is yet to be confirmed but BMW has published fuel economy data for the 320d, which can achieve up to 67.3mpg when paired with an automatic gearbox. CO2 emissions start from 109g/km, or 113g/km for the manual 318d. BMW has confirmed that a 330e plug-in hybrid version will be available, which will offer a power output of 252hp combined fuel economy of 138mpg and CO2 emissions of 39g/km. 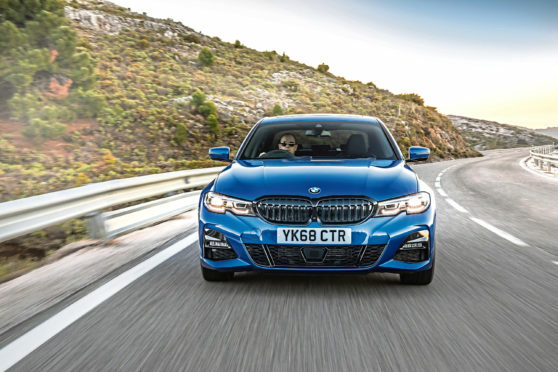 The company has also confirmed a four-wheel drive version of the new 3 Series will be offered, which should prove particularly popular in Scotland. The rear-wheel drive saloon kicks off from £32,220 for an entry-level 320i petrol model, with its equivalent 318d diesel priced slightly higher, at £32,450. These two models won’t be available from launch, though – they’ll hit showrooms in April. The line-up then moves through 320d diesel with or without xDrive four-wheel drive for £33,610 and £36,800 respectively. 330i petrol models cost from £37,660, while the current range tops out with the £39,630 330d diesel. Prices for the 330e plug-in hybrid model and range-topping M340i will be announced closer to their debut in July. UK models will be offered in SE, Sport or M Sport trims, but all cars come with adaptive LED headlights, triple-zone climate control and a reversing camera as standard kit. A new Technology package combines Harman Kardon speakers, Head Up Display, Extended Bluetooth with Wireless Charging and Gesture Control. The Comfort package puts together a Heated Steering Wheel, Comfort Access, Automated Tailgate and Storage Compartment package. The Premium package includes Electric Seats with memory, Lumbar Support and an Electric Glass Sunroof.